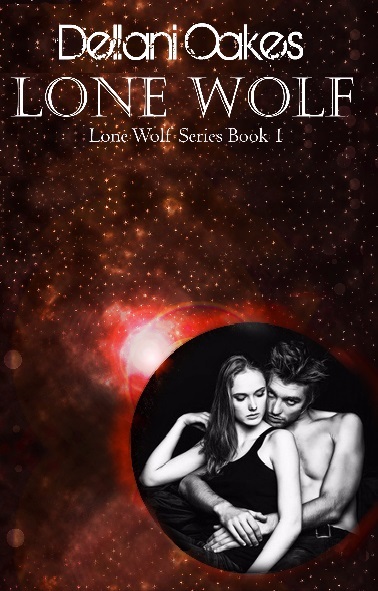 Lone Wolf by Dellani Oakes, Will Be Reissued June 11! Mining Guild Chairman, Emmelia Spenser, is a smart, well educated, attractive and formidable woman. She knows how to work a room to get what she wants. She’s not above a little subtle manipulation to make that happen. Ssylvenia was always prompt. Emmelia looked up in relief. If there was one person on the board she could count on, it was Ssylvenia Louttice. They had been friends for many years. As she walked in the office, Ssylvenia was already chittering excitedly. Her translator couldn’t keep up. Emmelia did her best to calm her friend so she could get a cohesive story. What she finally learned didn’t make her happy. Apparently, the police had contacted the Marines despite assurances that it wasn’t necessary. A contingent was waiting in her outer office to address the Board. In a rare moment of self-recrimination, Chairman Spenser nearly pulled out her short, dark hair. Taking a deep breath, she released a loud, piercing, primal scream. Ssylvenia stood impassively, waiting for her friend to catch her breath. Holding herself as if she thought this was a terrible idea, Ssylvenia let the Marines in. The five men were resplendent in their blue and red dress uniforms. Chairman Spenser greeted them calmly, a genteel smile on her face. Not betraying her thoughts in her features, she mused, Where the hell to the Marines recruit from? I never saw such handsome, exquisitely put together men in all my life! Sincere smile pasted on her lips, she held out her hand to the commanding officer as they were introduced. He took it in his, fingers lightly lingering on hers. “Captain Drexel, how very nice to meet you, sir. How may I be of assistance?” Ooh, Captain Drexel, I hope you aren’t married! Drexel was an older version of Wil VanLipsig. He was fortyish, tall, muscular, tanned, with close cropped, dark brown hair peppered with gray at the temples. His upper lip sported a full, and very luxuriant mustache. His eyes were nearly as black and piercing as VanLipsig’s. His nose looked as if it had been broken at least once, but it lent rather a nice touch to a face which would otherwise have been too handsome for his own good, or hers, for that matter. She gestured to the chairs in front of them. They waited for her to sit gracefully behind her massive oak desk. Drexel and the other officer sat. The rest stood in a semicircle behind them. Sissy hovered behind Emmelia, not sure what to do. Emmelia sat languidly in her chair, for once glad of her prominent chest and deep cleavage. It seemed to be of interest to Captain Drexel and several of his men. She’d always dressed a bit daringly, if professionally. Today she wore a navy, pinstripe suit with a dangerously short, flared skirt. Instead of a blouse, she wore only a matching vest. It showed her ample bosom to great advantage. She leaned forward, enjoying the feeling of power she had over them. “How may I be of assistance?” she repeated, drawing their attention back to her face. She fought the impulse to bat her eye lashes. It was too early for that ploy yet. Let them sweat a bit. Drexel focused on her face with difficulty. He cleared his throat a few times, so Emmelia poured him a glass of water, carrying it around to him. Instead of sitting back down at her desk, she sat on the edge directly in front of him, crossing her legs, toes mere inches from his knee. “I do hope this helps. Sometimes the air in this place gets a little dry.” Leaning forward just enough to give him a better peek, she handed him the glass. His ears reddened slightly as he accepted it. Sipping politely, Drexel nearly choked on his water as the open toes of her backless pumps carelessly brushed his right knee. She smiled her sincere smile at Drexel again. To do the man credit, he didn’t drop his glass, but straightened his shoulders, sitting upright in his seat. Raising pale blue eyes to his dark ones, she gave him a plaintive, helpless look. Emmelia settled back on the desk, legs crossed, leaning on her hands, chest well forward. Drexel’s ears were quite red and he stammered as he spoke. The open toes of her pumps were mere centimeters from his knee. Her skirt was more than halfway up her thigh, challenging him with its milky, smooth closeness. “Yes, yes, Ma’am. I assure you that you can count on our assistance in this matter. I’ll order some of my troops down to see to it.” He rose somewhat awkwardly, hat in front of his muscular thighs, signaling to his men. Chairman Spenser stood, leaning toward him again, nearly chest to chest. “Thank you ever so much, Captain Drexel. I just knew I could count on the Marines.” She pouted prettily, raising an eyebrow. “Why don’t you come back when you get off duty. We can continue this discussion privately.” Lifting her pale, blue eyes to his face imploringly, she allowed her eyelids to flutter briefly. He nodded curtly, gulping, his throat suddenly constricted. His ears burned red and the flush rose above his collar. “I’d like that, Ma’am,” he choked. She held her hand out to Captain Drexel. He didn’t know whether to shake it or kiss it, so did neither. He held it for a moment, bowed briefly over her fingers, hesitantly letting go. As he strutted out the door, he spun around, snapped a sharp salute, clicking his heels together before his corporal shut the door with a snap. She waited for a count of ten before turning to Sissy. “Well, what do you think?” She spun around with her arms flung out happily. Laughing happily, Emmelia walked into the board room. Sissy followed, her chittering indecipherable by the translator, but Emmelia knew her friend was laughing. Reblogged this on Lone Wolf by Dellani Oakes.